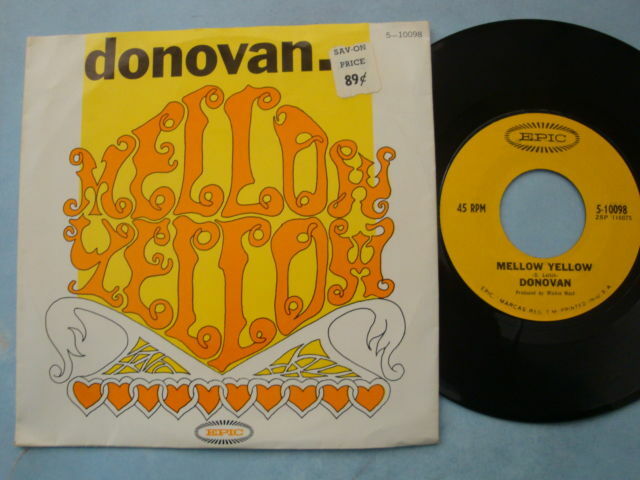 The Flip-Side of "Mellow Yellow"
A cool thumping bass line played by Danny Thompson, followed by marvelous harpiscord and keyboard phrases from John Cameron kick off this "Sunny" (pun intended) sounding ditty from The Troubadour, Donovan. He invites us to join him at "a groovy place to live" in London, and "flip-out, skip-out, trip-out, and make your stand, and dig him as he sings". And sings he does! His far-out voice adds to the dreamy atmosphere. Bobby Orr's drums as well as Tony Carr's percussion give the song a rock and roll drive, while Shawn Phillips's sitar adds some mystical style. 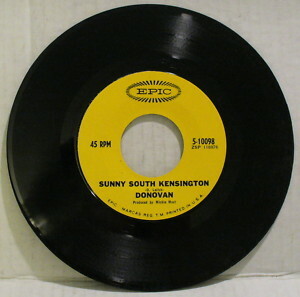 Donovan is one of the best musicians/poets of the Swingin' 60s, and the lyrics "Come loon soon down Cromwell road, man, you got to spread your wings" are just a taste of his creative genius. So close your eyes, imagine the "girl with the silk chinese blouse on" and take a journey down to swingin' London any (or every) day of the week!